Doctors have an intimate view of the uptick in mass shootings. 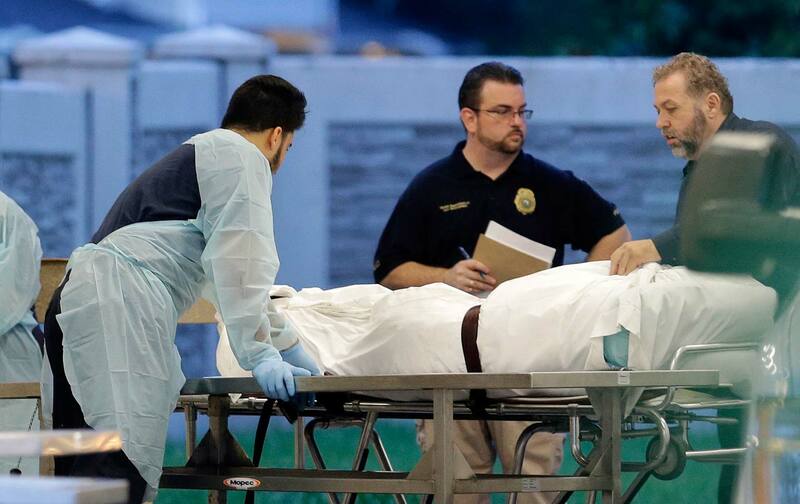 The injured arrived at the Orlando Regional Medical Center in “truckloads.” They came with “multiple high-velocity” gunshot wounds to their arms, legs, and chests, from the assault rifle that Omar Mateen carried during his rampage at the Pulse nightclub. Nine died shortly after they arrived, while trauma surgeons, nurses, and other health workers, some who’d rushed to the hospital after being awoken in the night by urgent calls for help, worked to stabilize 35 others. Medical professionals have an intimate view of gun violence in America and its growing severity. Trained for the traumas of civilian life—car crashes, falls, injuries from natural disasters—emergency-room staff are more and more frequently responding to mass shootings, of which there have been 998 since the Sandy Hook killings, and treating wounds more commonly seen in a war zone. Gun violence has become so common that the American College of Emergency Physicians assembled a task force earlier this year to study firearm injuries and create guidelines for treatment. For years, the National Rifle Association and its allies on Congress have tried to exclude medical professionals from the gun-control debate, insisting that gun violence is strictly a matter of constitutional rights and criminal justice; or, if health is implicated, only in regards to mental illness. The mass shooting in Orlando demonstrated the absurdity of this position: Try telling the doctors and nurses and first responders that several dozen gruesome, unnecessary deaths and injuries don’t amount to a health problem. On Monday, the country’s largest physicians group,the American Medical Association, declared gun violence “a public health crisis” and reiterated support for modest gun control measures including mandatory waiting periods and background checks for all handgun purchasers. Though other health groups have made similar declarations in the past, the AMA’s resolution is potentially more significant, as the organization is one of the top lobbying groups in the country. “Gun-related violence takes about 30,000 lives every year, and these are generally young healthy people whose lives are abruptly ended as a result of a public-health problem that we have not done sufficient research into,” outgoing AMA President Dr. Steven Stack said in an interview. To understand the case for treating guns as a public-health issue, compare them to cars. Both are consumer items made by powerful industries, and they kill a comparable number of people each year. Car crashes have been extensively studied, and in response to that research legislators passed laws to make vehicles safer—think seat belts and airbags. Gun violence, on the other hand, has not been so comprehensively studied, and that’s insulated the firearms industry from regulation. In fact, guns are the only major consumer product not tested and regulated for health and safety at the federal level. Perhaps not coincidentally, while car-related deaths have declined steadily, firearm deaths are on a slow uptick. Prohibiting the Centers for Disease Control from studying gun violence is just one of the tactics the NRA and Republican lawmakers have used to block discussion of the health risks of guns. Republicans in the Senate delayed the confirmation of the current surgeon general, Dr. Vivek Murthy, for well over a year simply because he’d tweeted that “guns are a health care issue.” At the state level, some legislatures have tried to prevent doctors from talking with patients about the risks of having a gun in the home, just as they counsel parents about the dangers of swimming pools. In other words, banning assault rifles might start to seem less like an unthinkable affront to an abstract “freedom” than a sensible step to keep actual human bodies healthy and whole. Politicians and the NRA can insist that guns have nothing to do with public health, but doctors and other trauma workers don’t have that luxury. They’re busy removing bullets, stitching up wounds, and mopping up blood.